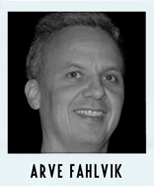 Born in 1968, in Norway, Arve worked in computing before reflexology took over his life. He started with ear and foot reflexology in 1997 and then full-body reflexology in 1999. Arve has radical and sometimes controversial opinions about reflexology and health. His wish is that the reflexology community develops a more scholarly approach to the profession. Arve continuously writes and draws to increase his knowledge and understanding of reflexology. He has ideas on how to make ICR even better for our profession. In addition to reflexology his passions are snowboarding and karate. Chair of NRF (Norsk Refleksologisk Forbund) for one year. Board member of NNH (Norske Naturterapeuters Hovedorganisasjon) for six years. Representing NNH of RiEN (Reflexology in Europe Network) for ten years. Vice chair of RiEN for two years. Active in Nordic Reflexology Network for many years. Participated in RVP in 2016.